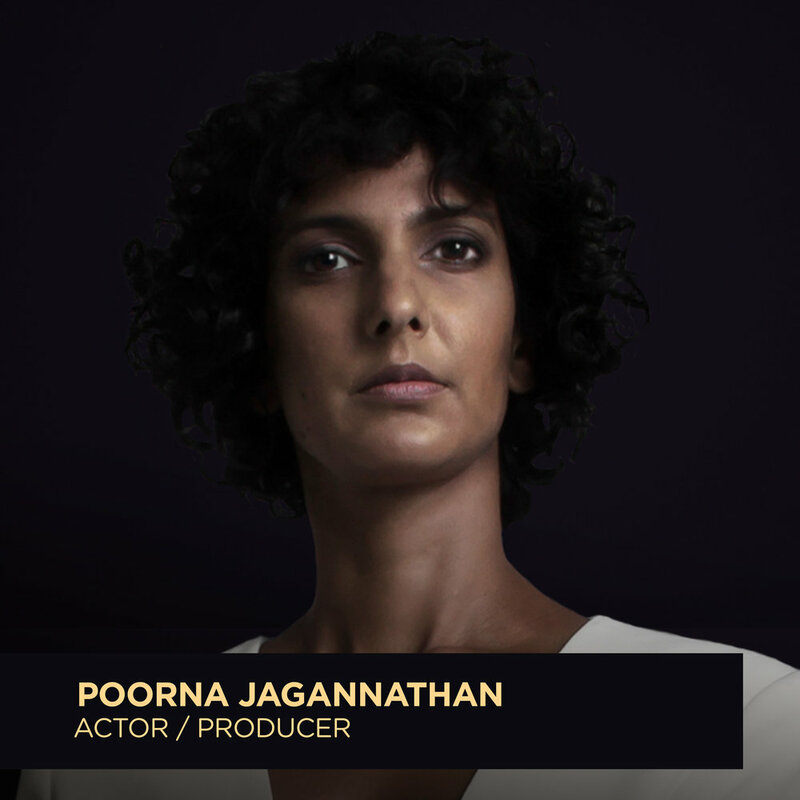 2017 Media Award honoree, Poorna Jagannathan, is an American actress and producer. She is best known for her portrayal of Safar Khan in HBO's Emmy-nominated show, "The Night Of", as well as playing the lead in the Bollywood cult comedy film "Delhi Belly". She also initiated and produced the play "Nirbhaya", written and directed by Yael Farber, which dealt with breaking the silence around sexual violence. Her play won the '2013 Amnesty International Award' and was called by The Telegraph as the "One of the most powerful pieces of theater you'll ever see". Jagannathan was featured among the top 10 in Femina magazine's "India's 50 most beautiful women" in 2012, and in 2014, she was named among the top 50 most powerful women in India. She was most recently a series regular on Naomi Watts/Netflix series, "Gypsy", and part of the ensemble cast for HBO's new anthology series, "Room 104", by the Duplass brothers. Her new film, directed by Pippa Bianco and produced by A24, releases in 2018. She is also part of the cast for Season 2 of HBO's critically acclaimed show, "Big Little Lies". The daughter of an Indian diplomat, Jagannathan was born in Tunis, Tunisia, and grew up in Pakistan, Ireland, India, Brazil and Argentina. She speaks English, Spanish, Portuguese, Hindi and Tamil. She went to college at the University of Brasilia, Brazil but graduated in journalism from the University of Maryland, College Park. On scholarship, she started her master's from The Actor's Studio, one of the world's top drama schools, but left after the first year. "We as writers need to remind ourselves that the stereotypes seen in countless films from decades past that demean people such as Native Americans, African-Americans, Mexican-Americans, Asian-Americans and others are still with us in the case of Muslims. And so we have to try harder to portray all vulnerable or maligned people with dignity, respect, and truth. "